News out of Turkey about its stuttering economy has slowed over the past few days, but major issues remain. After the collapse of the lira, HSBC’s Melis Metiner is now warning of another thread to the country’s fragile economy. 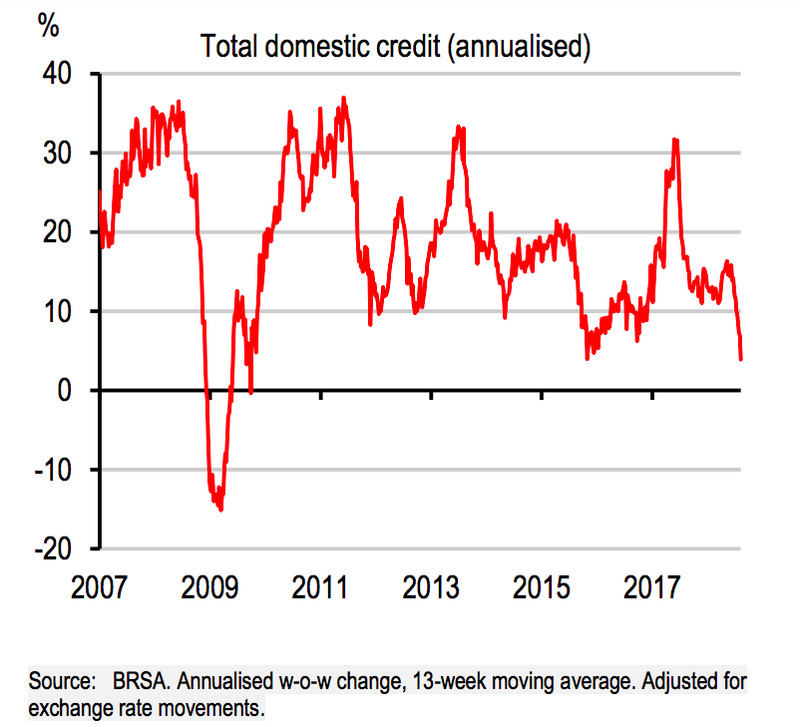 Credit growth in both the commercial and domestic sectors is slowing sharply, likely presaging a significant weakening in growth going forward. After the flare-up in Turkey which saw its currency drop 25% in a week, major tensions with the US, and even talk of its entire economy collapsing, things appear to have quietened down over the past few days, as the country settles in to try and solve its problems. Just because things have calmed down, however, doesn’t mean Turkey is out of the woods yet, and a recent note from HSBC shows just why. Writing to clients this week, HSBC’s Melis Metiner, an economist for central and eastern Europe, the Middle East, and Africa, said that there are still several signs that things could get worse before they get better in the stricken nation. The big issue, Metiner says, is the fact that growth in people and businesses being given credit is so low. “A look at recently released data shows that a more challenging external backdrop and TRY [the Turkish lira] weakness and volatility have dragged credit growth lower,” Metiner wrote. “Consumer loan growth has slowed from around 20% in the middle of last year to 14% in annualized terms,” she continued. While too much credit can be a negative for an economy, as borrowers overstretch themselves leading to possible defaults, credit helps to allow households to spend, and companies to invest in their businesses. 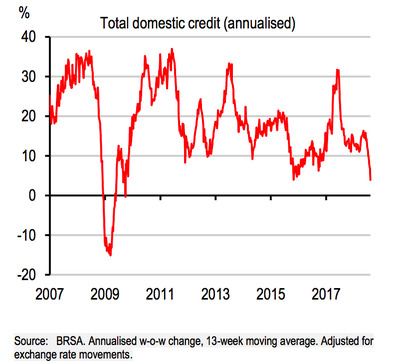 If credit slows too sharply, the subsequent lack of investment can lead to slowing economic growth.